In this post we’ll talk about how to get a Google Nexus 6 on Verizon Wireless. As of the publishing date Verizon is the only carrier that doesn’t yet officially support the Nexus 6. This doesn’t mean that we can’t get it to work on Verizon because the phone is technically unlocked and usable on all major US carriers. As of March 12th 2015, the Nexus 6 is available directly from Verizon. This post was originally written because the Nexus 6 was released by Google 4 months prior to the Verizon debut. Those that wanted the phone prior to the Verizon release were able to get it on the Verizon network using the below method. Why the T-Mobile SIM Starter Kit? If you have a activated Verizon Phone with a Nano SIM you don’t need to purchase this kit. If you have a phone that has a regular or micro SIM you will need to purchase this kit. The kit sells for under $6.00 and is available at Best Buy. The Nexus 6 requires a Nano SIM that’s pre-activated on Verizon Wireless for the number that you’ll be moving over. 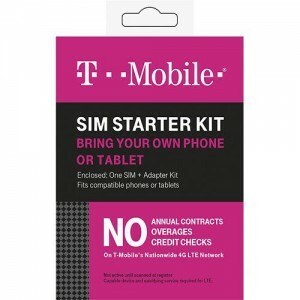 The T-Mobile Starter SIM kit includes two SIM adapters. This adapter will be used to convert a Nano SIM to the correct sized used in your current phone for the purpose of activation. As mentioned previously, in order to get the Nexus 6 on Verizon Wireless you’ll need an already activated Nano SIM for the correct number that you’ll be moving over to the Nexus 6. If your currently active phone already has a Nano SIM you don’t need to go to the Verizon Store. Simply remove the SIM from your device and place it into the Nexus 6 and turn it on. You might need to restart the phone after it obtains signal the first time, but it’s that easy. If you have a phone that has a Micro or Regular SIM you’ll need to go into a store after you purchased the T-Mobile SIM Adapter Kit. Hope that you get someone who is willing to take the time to get a “technically” Non-Verizon phone on their network. They’ll need to “sell” you a Nano SIM for $0.00 after which you’ll remove your current phones SIM card. Place the Nano SIM into the correct adapter size and place it into your old phone. 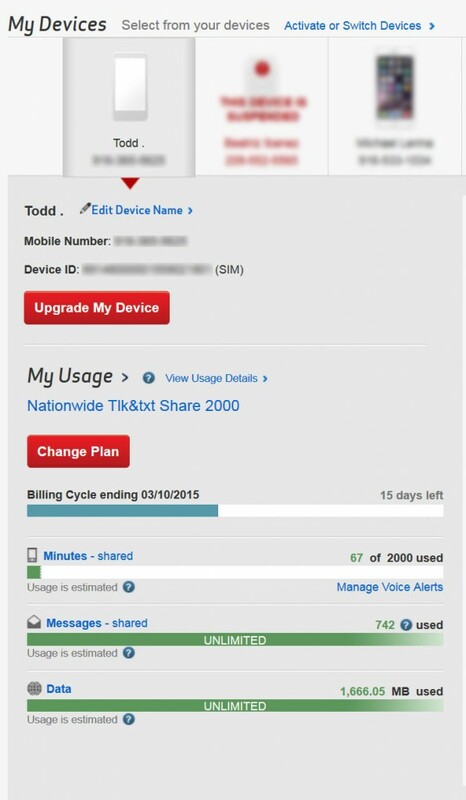 Turn your phone back on after the Verizon associate has activated the SIM card to your account. Once the phone turns on make a test call to verify that the SIM card is active. Once the Nano SIM card is active on your old phone turn your phone off and remove the adapter and the Nano SIM. Place the Nano SIM into the Nexus 6 and turn it on. Within minutes the Verizon associate should be able to see that your line is now associated with a Non-Verizon phone, your new Nexus 6. What if I don’t want to pay full price? You’re sh*t out of luck for now. Verizon has announced that the Nexus 6 is “coming” but there’s no release date, this almost 6 months after the phone was originally released by Google. The only way to get a phone at a discounted price would be to purchase the phone directly from Verizon, and it’s not available. I am 100% positive this will work. I have done this with both a LG-G3 to Nexus 6 and Galaxy S5 to Nexus 6. I am currently using the Nexus 6 on Verizon and it’s a great phone. One of the best I’ve used.